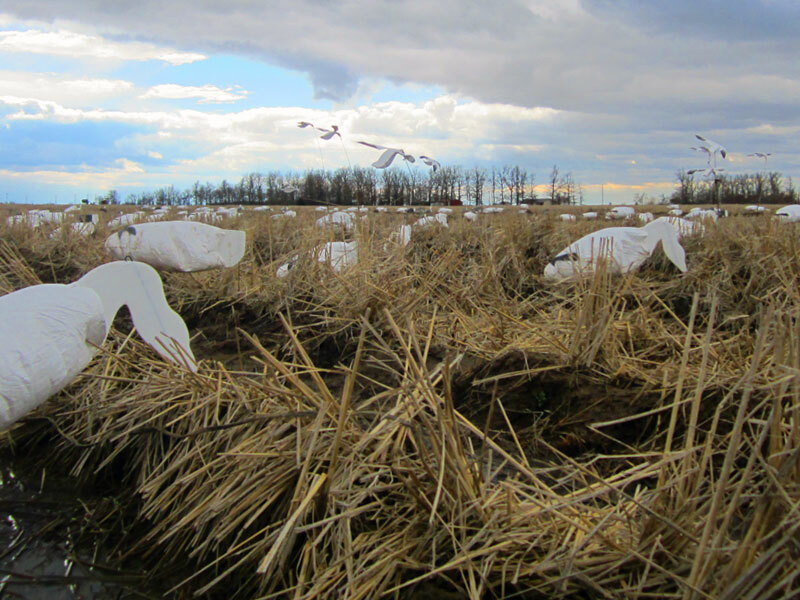 Timing the spring snow goose season is risky business. Each spring mid-continental light geese push to the edge of the snow line and run the gauntlet north to their breeding grounds. This year, limited amounts of snow cover and a quick spring thaw have opened a fast-track migration deep into the northern prairies. The past week has proven quite successful for hunters from southern Illinois all the way to South Dakota. While numbers have diminished quickly in central portions of the flyways, the late fliers are decoying well and the harvest continues. 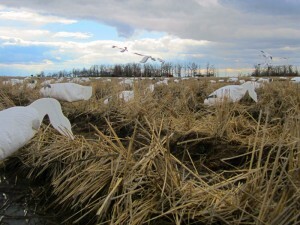 Hunters in North Dakota are reporting fair to poor harvests at this time as leading groups of adult birds are blowing through the state quickly. Hunter success is expected to increase over the next week as juvenile birds continue moving north. In other news, Issue Twenty-Two of Waterfowler.com Journal is live and we’ve announced an open submission call for Issue Twenty-Three. In issue, twenty-three, Waterfowler.com will celebrate the trend of “hunting crews” within our sport and discuss the modern day duck camp. If your crew is looking for a little “swamp cred,” drop an email to info@waterfowler.com today to discuss editorial opportunities for you and your hunting friends. Waterfowler.com reminds our readers that the spring migration of ducks is well underway and a great time of year to photograph waterfowl in full breeding plumage. In many ways, shooting a perfect picture is much more difficult than decoying birds and dropping them with your trusty scatter gun. If you undertake this spring challenge, by all means, share your results and pictures on the WFC forums. Until our next report and habitat updates, enjoy your springtime in the great outdoors.